We are moving towards a hyperconnected world, with the digital interconnection of things, people and places. It's estimated the number of things connected to the Internet will reach 50 billion by 2020. At the RE.WORK Connect Summit in San Francisco in November, we will explore the opportunities of emerging trends in IoT as well as how we can use the huge amounts of data generated by an increasingly connected digital world. Adapting to a hyperconnected landscape and the next generation of the web will have a significant impact on how we live our lives, from smart healthcare systems, to the transport we use, to how our homes interact with us. Danielle Cojuangco, Head of Product Design at Proteus Digital Health will explore the new era of digital medicine and wearable sensors. The 2014 Summit sold out. To avoid disappointment, book your place now. Where is the Future of Education headed? 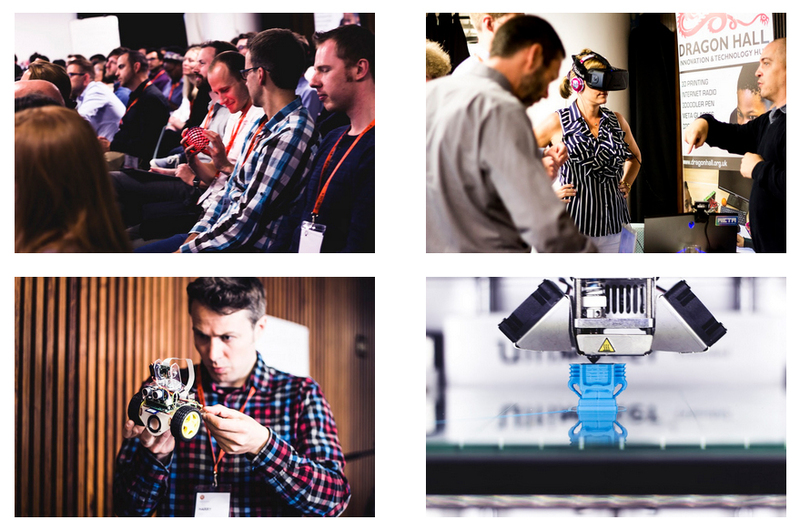 Last week as part of London Technology Week we gathered together over 100 education practitioners, designers, founders, edtech startups and teachers at RE.WORK The Future of Education workshop to explore how emerging technology is having an impact on education systems. We saw presentations and demos from exciting startups on technology including IoT, augmented reality, robotics and wearables. View a summary of the event here. Jaguar Land Rover (JLR) have been using innovative technologies and have created a virtual reality engineering and design studio that has already saved the group more than three times its cost in two years of operation by cutting the time usually associated with vehicle development. 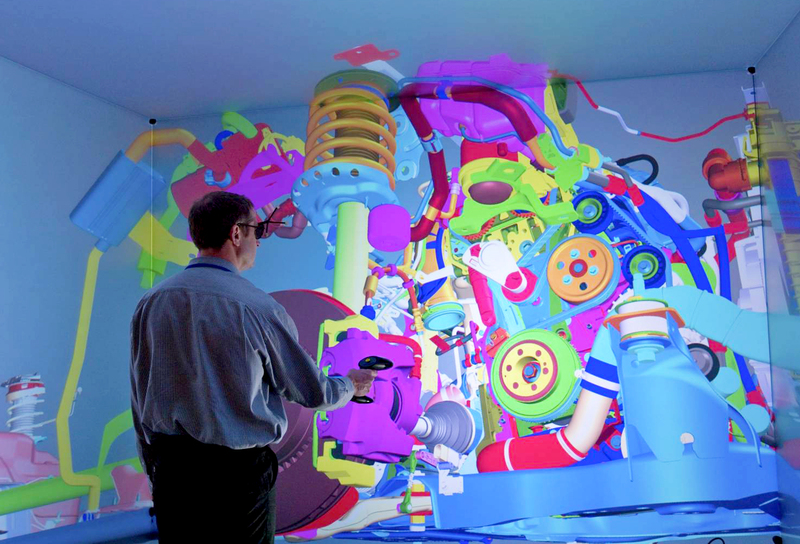 Brian Waterfield is Virtual Reality & High-End Visualisation Technical Lead at JLR. Over the past eight years he has developed the company's 'Virtual Reality Centre', which established JLR at the forefront of virtual reality immersion, leading on to creative solutions that enabled them to design and deliver new innovative vehicles. We caught up with Brian, ahead of his presentation at RE.WORK Future Technology Summit in September, to hear more about his innovative work at JLR. Q: What is the biggest obstacle to integrating augmented reality into the automotive world? BW: There are two major obstacles. One is data. Accessing data on demand, there is a need for the creation storage and accessibility to large amounts of data so that the augmented reality units can pull this data to enable an interaction. Secondly, is the cultural change and traditional beliefs; getting momentum within a well established environment is a huge task. Adopting new ways and moving away from tried and tested ways is not an easy job. Q: What will be the key skills or jobs required in the future for your sector? BW: There is a growing need to close the gap between the gaming / entertainment and the automotive sector; the skills that are creating the entertainment that we all seem to enjoy in our lives is needed to enhance the creativity of our designers and engineers. Vehicles are becoming complex machines with virtual techniques growing more and more important to our customers, who see this these trends in the daily lives. The first Deep Learning Summit in Singapore has been launched!